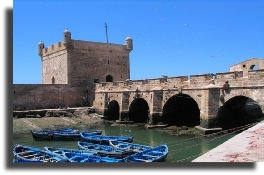 Our tour takes us along the coast from Agadir, to the picturesque walled 17th century Portuguese fishing village of Essaouira. Here you can see the ramparts sheltering the town from the pounding waves of the Atlantic. Our tour will also take us down a labyrinth of narrow streets where local craftsmen sell traditional thuya wood ornaments, linen clothing and jewellery. Enjoy a scenic journey into the Anti-Atlas Mountains where you will discover the hidden Morocco still untouched by the 20th century. 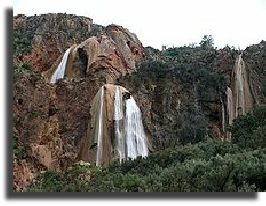 Our tour takes us into Tafroute, a typical Berber town, where you can marvel at the houses on the rocks, before enjoying lunch whilst absorbing the spectacular panoramic mountain views. Our tour continues to the ancient 'foreign legion' town of Tiznit which is famous for its silver, here you are sure to spot the infamous 'goats in trees'! Meals are included in the price of excursion. Marrakech, a city awash with history, culture and a bustling atmosphere - a must for visitors to Morocco. 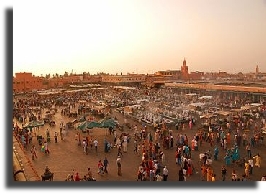 Our tour starts with a visit to the old Medina of Marrakech and a trip to the colourful souks. Here you can admire a fantastic variety of hand-crafted Moroccan goods ranging from babouche slippers, woodworks, brassworks, ironworks, bronzeworks, jewellery, kaftans, carpets, spices and pottery. We continue onto the famous Jemaa El Fna Square, where you can soak up the bustling atmosphere created by snake charmers, singers, story tellers and many other types of performers. Our tour also includes a trip to the most historical parts of Marrakech visiting a variety of monuments and ancient sites. 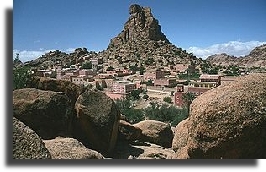 Just a short journey from Agadir will bring you to the walled Berber market town of Taroudant. Our tour starts in the souks of Taroudant where you can practice your haggling skills and snap up a bargain. We continue onto the surrounding agricultural landscapes, providing oranges, olives and an abundance of roses for the export market. We continue our tour with a visit to Tiout, a huge natural oasis covering more than 1,000 hectares with more than 20,000 palm trees. 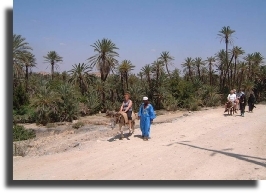 Here you can explore the oasis the way the locals do, by donkey! By evening we dine in the renovated Giaoui Kasbah giving you fabulous views of the luxuriant palmery, with the High Atlas peaks on the horizon. Meals are included in the price of the excursion. 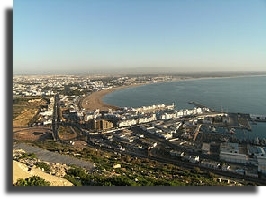 Uncover the town of Agadir. Our tour begins with a trip to the hilltop ruins of the old Kasbah that was destroyed in the earthquake of 1960. Highlights include seeing the largest sardine fishing fleet in the world, located in the port of Agadir where traders haggle for fresh fish in the daily auctions, and marvel at the traditional craftsmanship used to build wooden fishing boats for hundreds of years. Our tour ends with a trip to the colourful walled souk that houses Agadir's bustling local market. Agadir Taxi 735 provide private tours, excursions & travel services in Agadir, Marrakech, Taroudant, Tafraout and Eassaouira including airport transfers and private car hire bookings, sightseeing tours. We take pride in providing personal care of every detail necessary to ensure a memorable holiday.